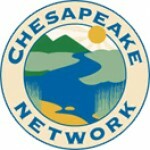 The Chesapeake Bay Environmental (CBEC) in Grasonville, MD is a 501©3 non-profit organization whose mission focuses on education, research, conservation, and habitat restoration. We are excited to bring you the 2nd Annual CBEC Little Bobbers Fishing Derby which will not only raise funds for creating fishing reefs and oyster beds at CBEC but also introduce kids to the hobby of fishing and all the fun that goes with catching the big one! The CBEC Little Bobbers Fishing Derby will be held on August 4, 2018 utilizing the freshwater ponds found throughout the CBEC property. The derby will be held from 10am – 2pm and is open to youth ages 3-10. The derby is FREE to all participants and all kids will receive a goody bag, lunch, snacks, T-shirt and a chance to win awards and prizes. Awards will be given for each age group to the girl and boy who catch the biggest and smallest fish of the Largemouth Bass and Bluegill species. The event will be capped at 100 participants and parents will be required to stay with their children. All bait will be provided and kids can either bring their own rod or borrow one on-site. Local fisherman along with CBEC volunteers will provide hands-on instruction such as knot tying, casting and properly removing the hook to each kid before they head out to the ponds. We will also be having other activities for the derby kids and their families such as a fish toss game, fish painting, fly tying and casting Olympics. Why did the turtle cross the road? Find out the answer and more reptilian facts. Join us for a guided hike on CBEC’s 510 acre peninsula for this unique opportunity to discover some of the natural features and treasures found on our property. A docent will lead participants on a journey to explore topics of Hummock Succession, Oyster Reef Ecology, Salt Marsh Plants, Lake Knapp Bird Residents, Tree Identification, Resident Raptors and many other topics. Most hikes will experience walking a 1.5 mile flat path around the center of our 510 acre peninsula. Many hikes will have a rest stop with restroom accessibility. Participants are encouraged to dress for weather and bring along a water bottle, small snack, and binoculars. Duration is approximately 2 hours. Trips are subject to cancellation due to weather or low enrollment. Check-in and hike begin at the Visitor Center. See the upcoming 2018 schedule to find a topic of interest for you. Check back for udpates on hikes that do not list a topic yet! Course Overview: This workshop introduces essential flatwater safety practices and rescue techniques that can be performed with a minimum of equipment, in the first few minutes of an emergency. Course Setting: Class size minimum of 5 and maximum of 15, 2 hours of dryland instruction, 3 hours of on-water instruction on calm, flat water, Certified ACA Kayak Instructors at a ratio of 5 to 1. An ACA Certified Kayak Instructor and Certfied Interpretive Guide will guide you through basic kayak instruction and then lead you on a paddle to explore the watershed of Marshy Creek. While kayaking, you may encounter wading birds, waterfowl, and migratory raptors hunting the marshlands. 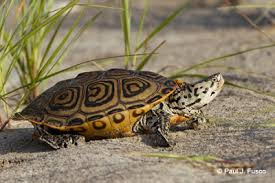 Other common sightings include otter, muskrat, terrapin turtles, mating cownose stingrays, schooling silversides, undulating jellyfish and slithery water snakes! If nothing else, the ebb and flow of the tide through gently swaying marsh grass is the sure remedy for nature-deficit disorder! Guided trips are offered two times a month from May through October during the 2018 season. These trips are for beginner to intermediate kayakers and include instruction on equipment, paddling/safety techniques, and loading and unloading the vessels. The experience will give you up to two hours of paddling time with a self-provided snack break at the halfway point. 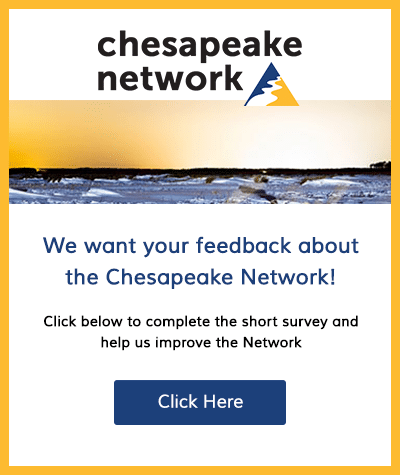 For questions contact: Courtney Leigh at cleigh@bayrestoration.org. It’s harvest time! 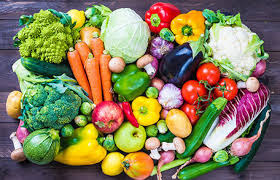 What can we make with our bounty? Let’s find out!